RGV Cosmetic Surgery & Vein Center delivers Radiesse® injections in the comfort of our offices in Brownsville and Edinburg. We cater to residents of McAllen, Brownsville, the Rio Grande Valley, and all of South Texas. 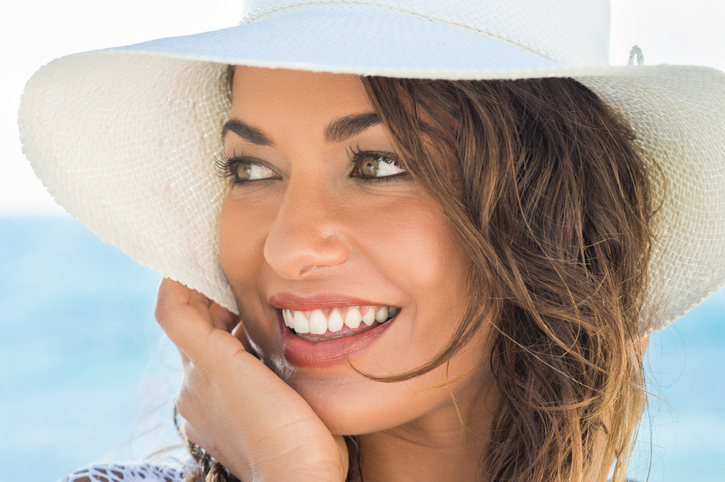 Radiesse® is a different type of dermal filler for volume restoration. Radiesse® is not a hyaluronic acid derived product like Juvéderm™. It is an opaque dermal filler composed of synthetic calcium hydroxylapatite microspheres suspended in a water-based gel carrier. It is considered an indictable implant that allows us to restore lost volume under the eyes, the cheeks, the temples, around the mouth, and also the back of the hands. Ideal wrinkle reduction is achieved by replenishing your skin’s lost volume, not by filling in wrinkles. Because Radiesse® is calcium-based microspheres, it is a very powerful dermal filler, but cannot be used to augment lips. It is unique because it performs as a scaffold beneath the skin. This stimulates your natural collagen to grow and provides structure to the cheek area. This process lasts for months, which prolongs the primary effects of Radiesse® Volumizing Filler. Radiesse® Volumizing Filler can instantly provide the volume and lift necessary to reduce the signs of facial aging, and these treatments have instant results and a small amount of downtime. It also contains lidocaine for extra relief during treatment, and the results have been clinically proven to last at least a year in several patients. Why Choose Radiesse® for Hand Augmentation? Radiesse® is a well-proven dermal filler initially approved in the United States in 2001 for several uses, and then in 2006, specifically for the correction of nasolabial folds (commonly known as smile lines), was further approved by the FDA to correct volume loss in the dorsum (back) of the hands in 2015. Radiesse® has been used off-label for hand rejuvenation in the U.S. for years, and is approved in 52 countries for this specific use, in addition to its use as a facial dermal filler. To determine the cost of your Radiesse® treatment, we invite you to schedule a private consultation at our practice. During your consultation, we will assess your cosmetic goals in order to pursue a treatment plan that matches your unique needs. Then, we will be able to provide you with a clear breakdown of the costs associated with your treatment. At RGV Cosmetic Surgery & Vein Center, we accept a number of payment and financing options, including cash, checks, money orders, major credit cards, and CareCredit® financing. We also offer simple and secure online payment options for the convenience of our patients. For more information about Radiesse® and other MedSpa treatments for hand rejuvenation, such as IPL laser treatments for age spots, contact RGV Cosmetic Surgery & Vein Care to set up your private consultation. We serve patients in all of South Texas, including Brownsville, McAllen, and the Rio Grande Valley.